Badmintonclub Geldrop is a large badmintonclub in Geldrop, near Eindhoven. At Badmintonclub Geldrop, we offer badminton for everyone. 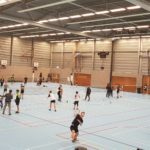 Whether you just want to play some recreational games or you like to play competition or want to follow badminton courses, badmintonclub Geldrop is the right place for you! Recreational players usually play on Monday evening and Thursday evening. Competition players are also allowed to play on these evenings, but they also follow courses on Monday evening, Wednesday evening and/or Thursday evening. If you would like to come and see for yourself, please contact one of the contacts below. We will make sure that someone is available to welcome you and explain you all the practical issues. You are welcome to try our sport a couple of times for free. If you don’t have a badminton racket yet, you can borrow one of ours. 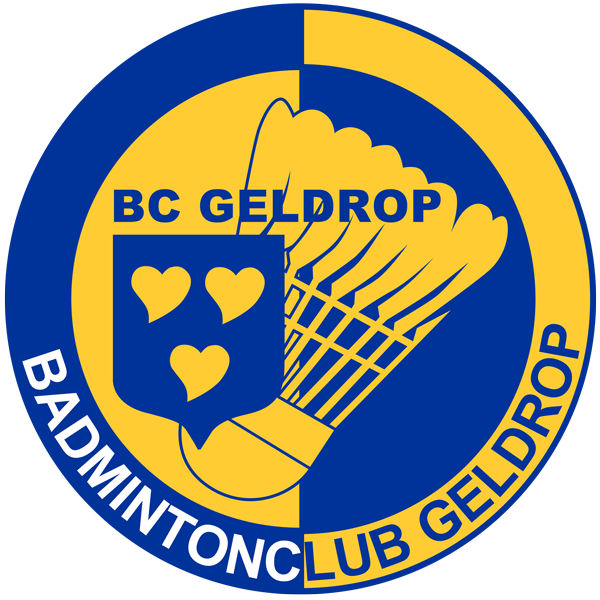 After a few tries, you can become member of Badmintonclub Geldrop, here. Besides badminton, there is a lot more to do at Badmintonclub Geldrop. On Monday and Thursday evening, the canteen is always open for a drink. During the badminton season we organise many events, like barbecues, a teambuilding day, tournaments, and more! 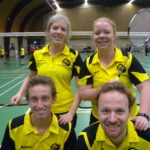 Badmintonclub Geldrop is also a lot of fun! 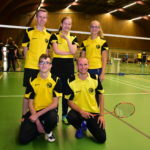 I would like to be a member of the Badminton club Geldrop. Can you please provide me an appointment to have a look at the club. I would request you to provide me a time in the evenings any day during weekday. Please let me know. I stay at Wielewaal, Geldrop 5667AG. I’ve sent your contact information to Marianne, who will contact you very soon. Hello, would like to give a try at the club tomorrow (1St Sept). Pl let know if I can come over. I hope you managed to give it a try September 1st. If not, you can contact Marianne (rc@bcgeldrop.nl).